Adding a little spice to a waning marriage, Anne and Bob (Academy Award® nominees Toni Collette and Harvey Keitel), a wealthy and well-connected American couple move into a manor house in romantic Paris. While preparing a particularly luxurious dinner for sophisticated international friends, our hostess discovers there are 13 guests. 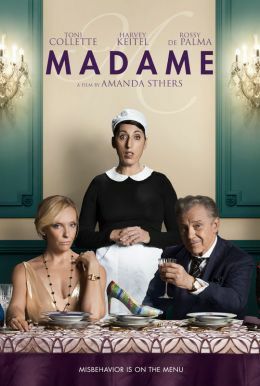 Panic-stricken, Anne insists her loyal maid, Maria (Rossy de Palma), disguise herself as a mysterious Spanish noblewoman to even out the numbers. But a little too much wine and some playful chat lead Maria to accidentally endear herself to a dandy British art broker (Michael Smiley). Their budding romance will have Anne chasing her maid around Paris and finally plotting to destroy this most unexpected and joyous love affair.